Two photographers and a graphic designer walked into a bar, got drunk and decided they should start their own distillery. Sounds like the beginning of a bad a joke but it’s basically how the idea for Beehive Distilling got started. 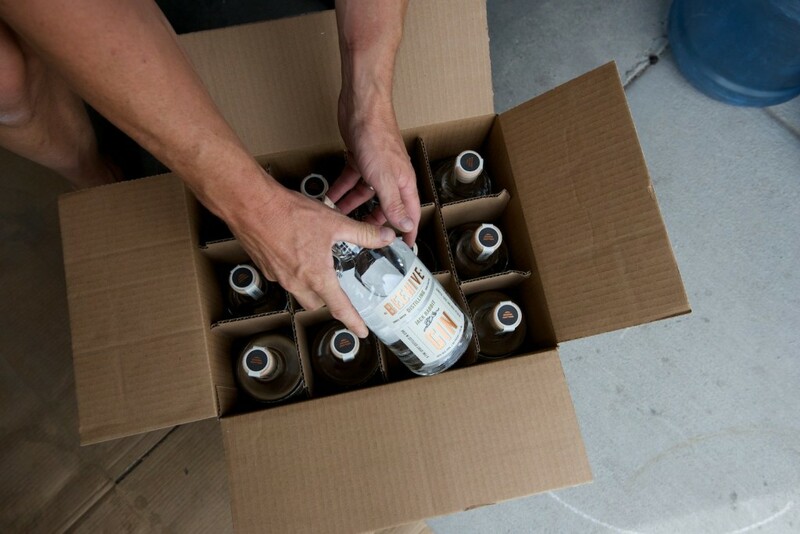 Since delivering their first bottles to Utah liquor stores earlier this spring, Beehive Distilling’s Jack Rabbit gin has been hopping off the shelves and is now readily available at many Salt Lake area bars and restaurants. The founders of Beehive Distilling. Left to right: Matt Aller, Erik Ostling and Chris Barlow. | All photos by Billy Yang. 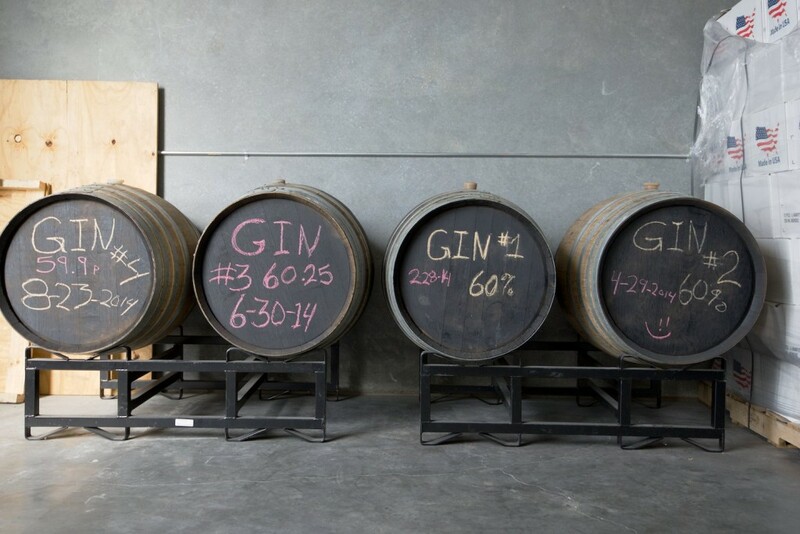 Inside the lobby of Beehive Distilling, home of Jack Rabbit gin. 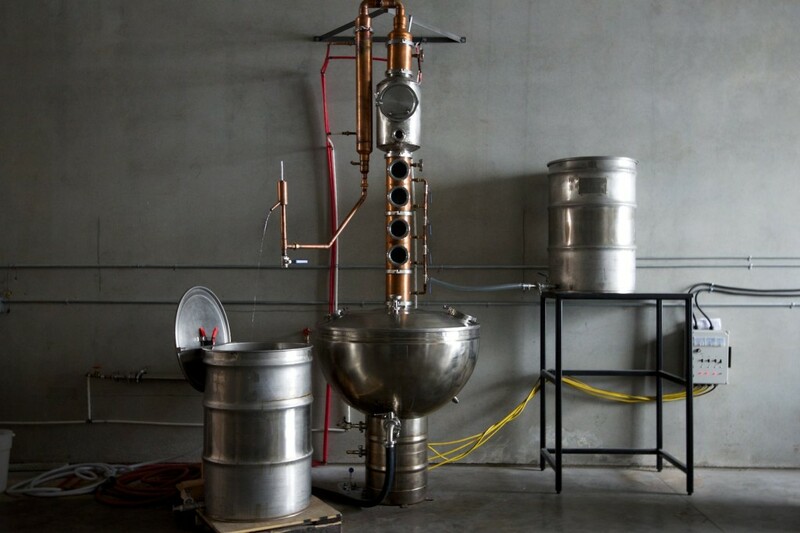 Jack Rabbit is the first gin produced (legally) in Utah since 1870. 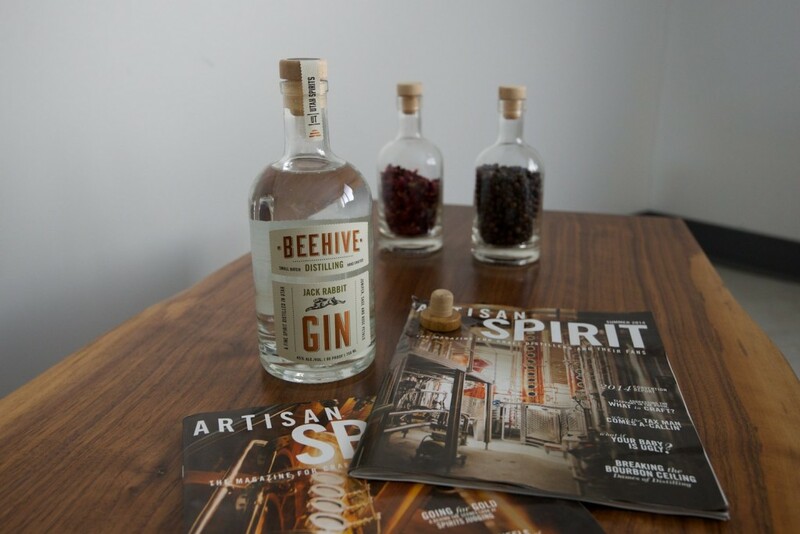 The partners of Beehive Distilling chose to work with gin because they saw a market for it here in Utah and for the spirit’s creative flexibility. 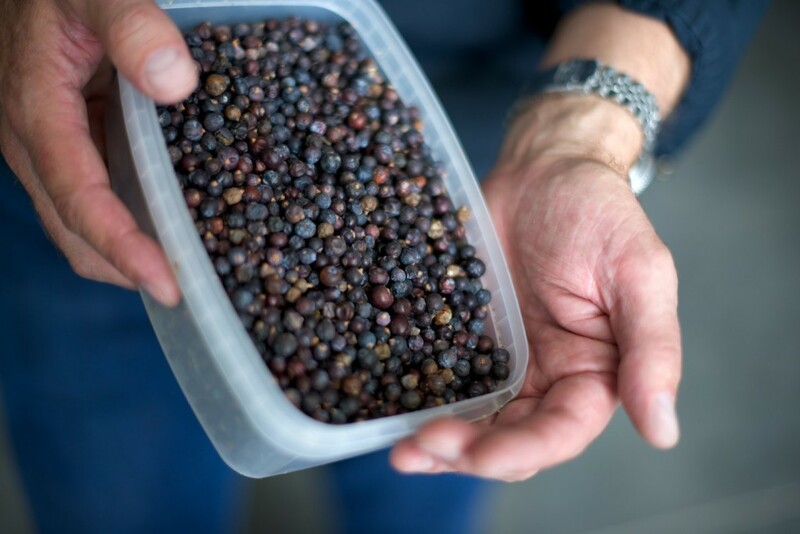 “With gin, you just need to make sure juniper is there. After that, you can really get creative with the flavors,” Ostling said. Beehive Distilling is a three-man operation. When it comes time for bottling, Aller, Barlow and Ostling have to get hands-on. Following the success of Jack Rabbit, the Beehive boys are working on an aged gin for their next product launch. Storytelling is what draws Billy to journalism. He has experience working in daily newsrooms as both a writer and editor. As a freelance photographer, his work has appeared in AFAR Magazine and Eater.com, among other publications. 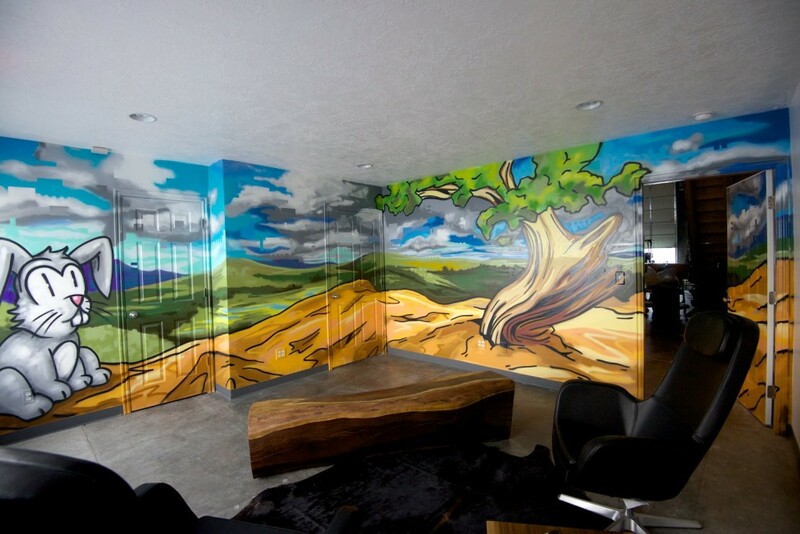 You can find more of Billy’s work on his website billyxyang.com. Follow him on Instagram and Twitter: @billyxyang.